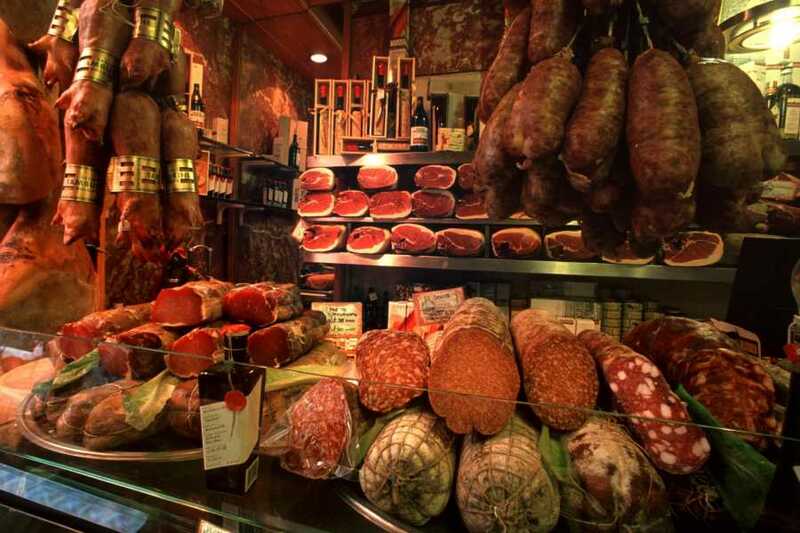 A journey of discovery of Emilia Romagna through its famous flavours: balsamic vinegar, Modena ham, Parmigiano Reggiano (parmesan cheese), wines of the Bolognese hills. This special tour will take you to local farms, factories and vineyards, where you’ll hear the stories of the regional culinary tradition, rife with loving passion for quality and excellence. And, of course, you will taste the fruits of that tradition! 7:00 AM from your accomodation in the city center or in front of the Burger King of Bologna Centrale train station (Piazza Medaglie d'Oro, 6) in a confortable air conditioned minivan. Visit of a Parmigiano Reggiano cheese factory + Breakfast of Champions with coffee and Parmigiano Cheese Tastings. Visit of an Aceto Balsamico di Modena D.O.P producer + tasting of 12 years old balsamic vinegar and 25 years old balsamic vinegar. Visit of a Prosciutto di Modena D.O.P. factory + tasting of prosciutto with wine. Italian family style multi course lunch with wine pairing and a LOT OF FUN!! !